Neste, the world's leading producer of premium quality renewable fuels will supply NEXBTL renewable diesel to UPS, the global leader in logistics, to help facilitate UPS's shift to alternative fuels. Neste's NEXBTL renewable diesel will be used by UPS's fleet operating in the USA starting mid-2015 and the mutual intention is to expand the cooperation globally. Neste's global renewable diesel reach is well aligned with UPS's global business. UPS is planning to use up to 46 million gallon equivalents of renewable fuels over the next three years which will make UPS one of the largest users of renewable diesel in the world. "Advanced alternative fuels like renewable diesel are an important part of our strategy to reduce the carbon emissions impact of our fleet," said Mark Wallace, UPS senior vice president, global engineering and sustainability. "We have used more than three million gallons of renewable diesel to date with positive results. Renewable diesel has a huge impact significantly reducing lifecycle greenhouse gas emissions by up to 90 percent less versus conventional petroleum diesel. Renewable diesel also performs well in cold weather, does not have any blending limitations and can be easily 'dropped in' to our fuel supply chain without modifications to our existing diesel trucks and equipment." "We are delighted that we can help UPS reduce their environmental footprint with our low-carbon, low-emission NEXBTL renewable diesel. Produced from 100% renewable and sustainable raw materials, NEXBTL provides significant reduction in greenhouse gas emissions. Additionally, NEXBTL's significantly lower tailpipe emissions make it an ideal solution to improve urban air quality," says Kaisa Hietala, Neste's Executive Vice President of Renewable Products business area. NEXBTL renewable diesel is a low-carbon renewable fuel that meets US national, California and other diesel specifications for use in diesel engines while realizing the benefits of better performance, and lower emissions. It is sold to fleets, refining companies and fuel distributors around the world. 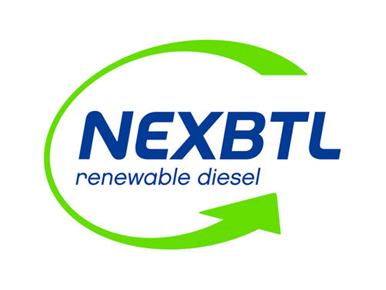 NEXBTL renewable diesel is based on the company's proprietary technology. The fuel is not the same product as traditional biodiesel.